Each adaptation is finely produced and directed by Dee Engelbach, with music composed and conducted by Leith Stevens. Frank Wilson wrote the movie adaptations. 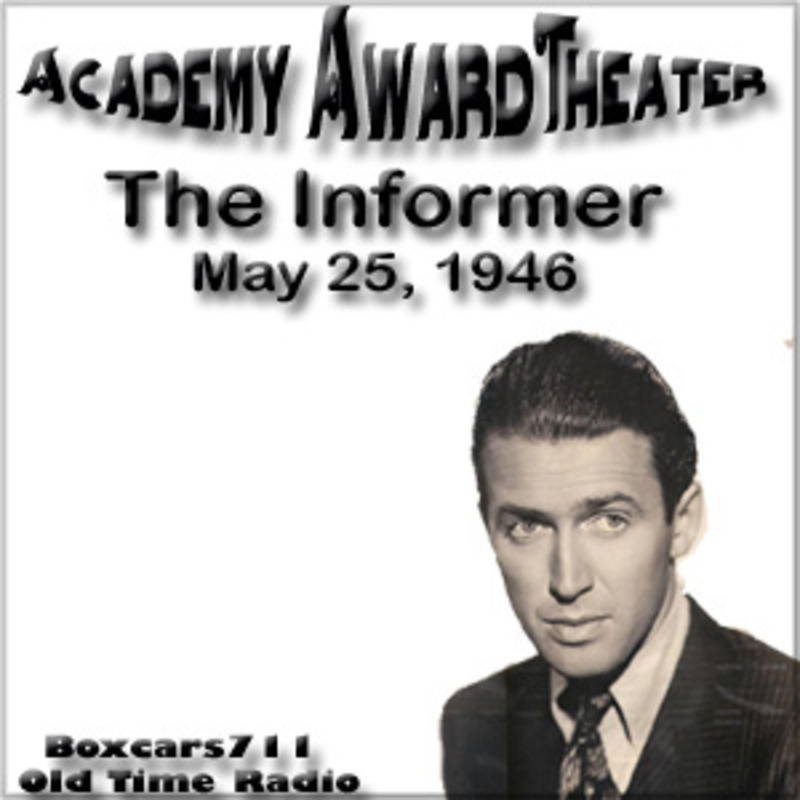 John Dunning in his book,"On the Air, The Encyclopedia of Old Time Radio,"tells us why such a fine production lasted less than a year: "The House of Squibb, a drug firm, footed a stiff bill: up to $5,000 for the stars and $1,600 a week to the Academy of Motion Picture Arts and Sciences for use of the title. The production had all the class of a Lux or Screen Guild show…But the tariff took its toll, and after 39 weeks the series was scrapped." THIS EPISODE: August 28, 1946. CBS network. "One Sunday Afternoon". Sponsored by: Squibb. Jimmy Stewart, Hugh Brundage (announcer). 29:03 Episode Notes From The Radio Gold Index.